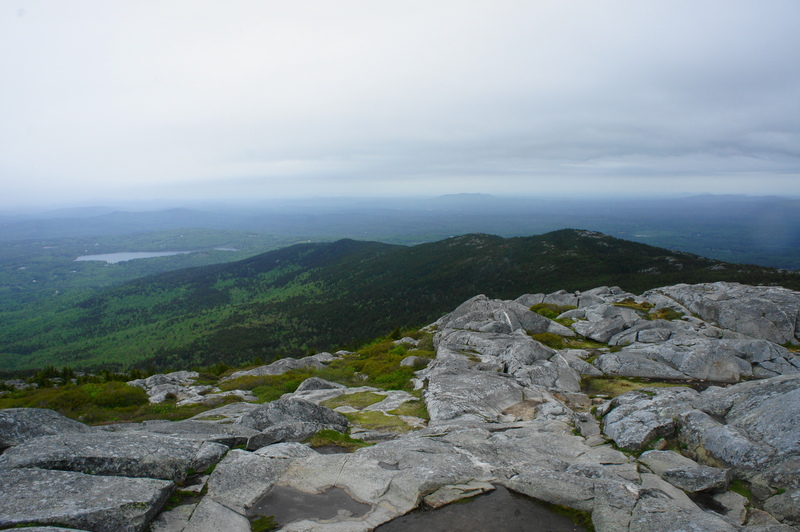 Derived from an Abenaki word, “monadnock” is used by geologists to describe a mountain that stands alone, rising abruptly from a plain and separate from a broader mountain range. 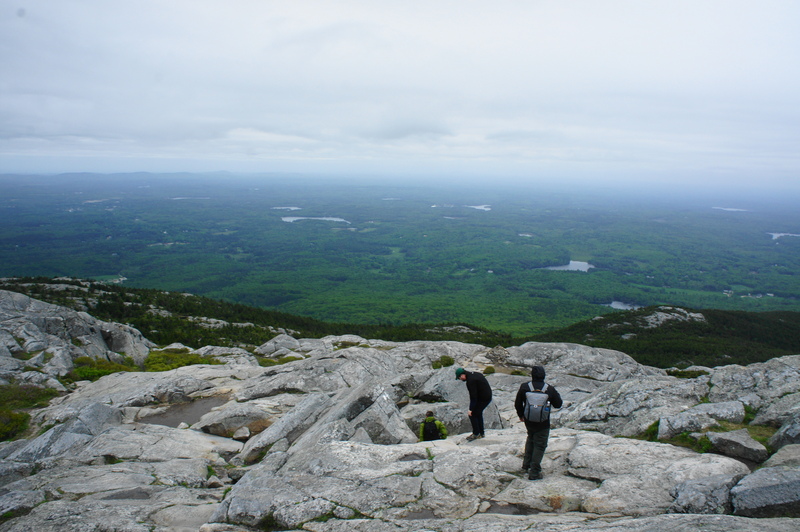 Mount Monadnock (3,165’) in southern New Hampshire aptly fits the description: a rocky and prominent peak that towers over the small city of Keene and features 360-degree views that, on a clear day, extend as far as Boston, Massachusetts. 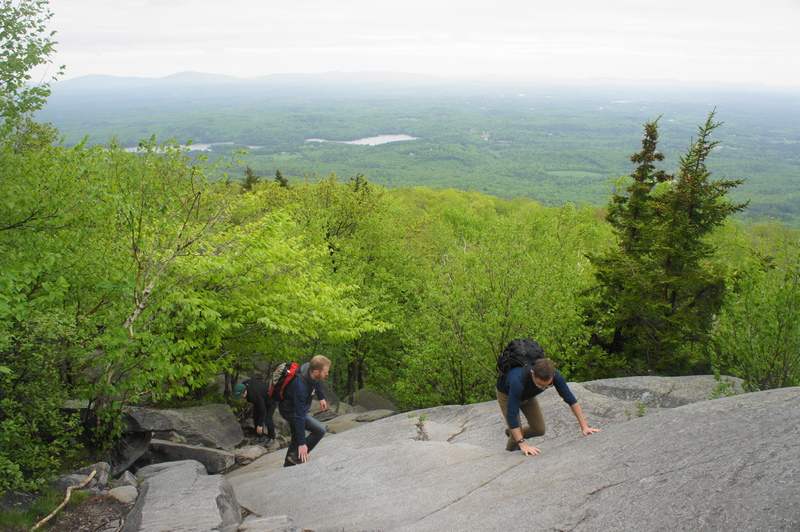 Situated in Monadnock State Park, there are numerous trails that lead to the summit, but the shortest and most popular is the White Dot Trail, a 1.8-mile journey through pine forests and past granite faces, culminating in excellent vistas. Start your hike at the parking area off Poole Road in the southeast section of Monadnock State Park, near the Park Headquarters. Following a well-trodden path through thick woods, the trail cuts across an upper parking area (closed for most visitors) in around 150 yards. 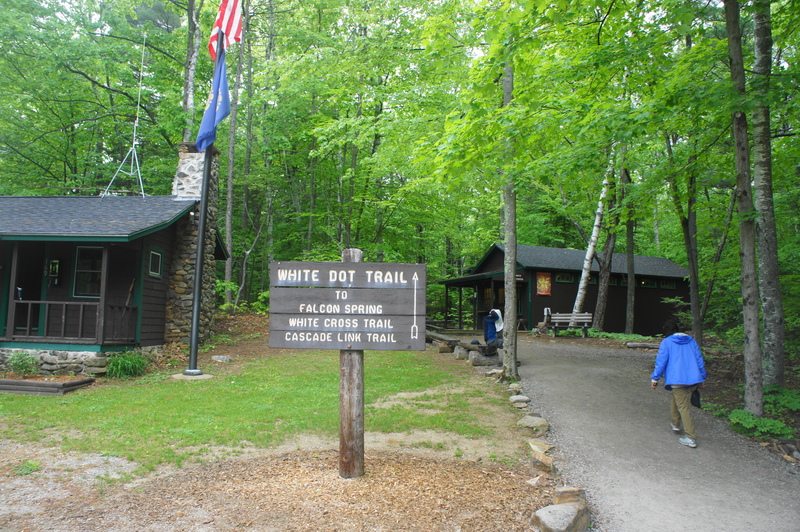 A large sign marks the way to the White Dot Trail, which quickly passes a small Visitor Center on the right. 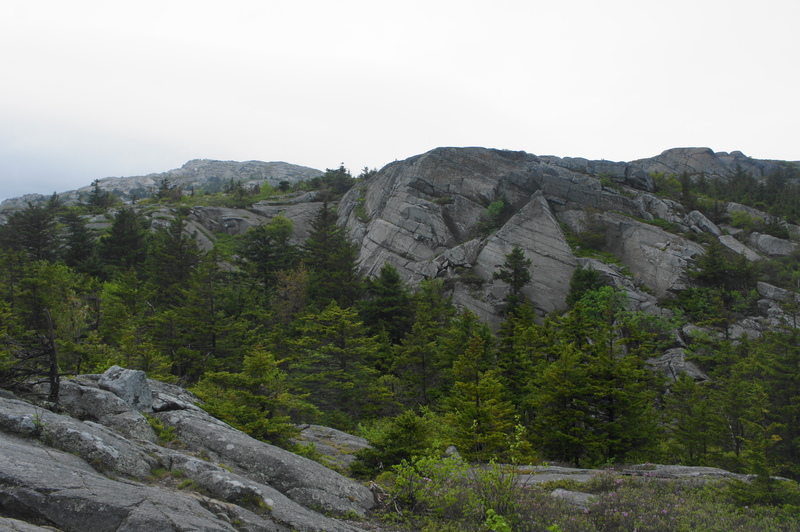 From here, hikers leave the buildings and parking lots beind, entering a hardwood forest and traversing a path chock full of rocks and tree roots. The incline at first is gradual, but it begins to pick up in earnest after an initial trail fork at 6/10 mile with the White Cross Trail. (Note: stay right on the White Dot Trail.) 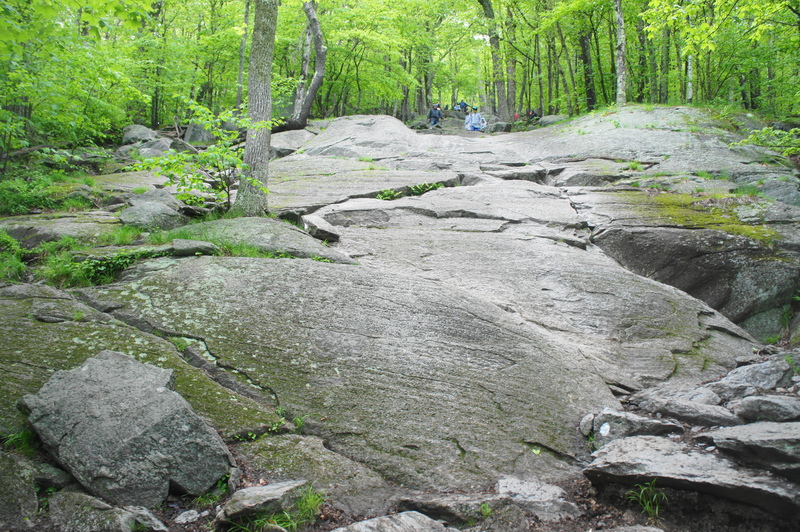 Just beyond a second junction (with the Cascade Link at 0.75 miles), the wide path becomes a rock scramble as hikers are required to traverse the cracks of an otherwise smooth granite slope. In the course of the next ¼ mile, hikers must mount a series of ledges—a climb that may require use of hands for balance but is not technical. Just past the 1-mile mark, the route briefly levels off and passes a sign marking the halfway point (although it is technically mile 1.0 of 1.8). Before long, hikers will climb a rocky staircase to the edge of a rock outcrop with outstanding views to the south and east. A smattering of blue ponds is visible in the flat below, and the mountains in the distance are part of the Wapack Range. As the trail continues, the trees are increasingly sparse, allowing for more expansive views. 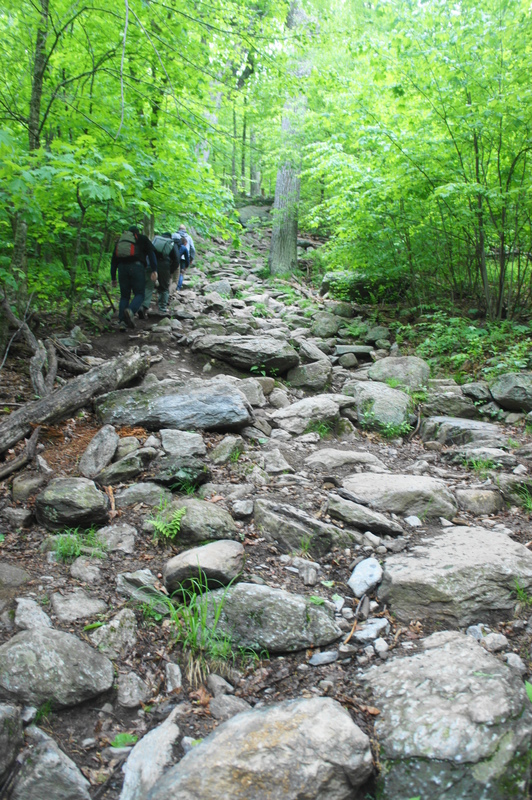 Hikers will have to negotiate several more granite climbs before the path briefly plateaus atop a stony ridgeline at about 1.3 miles. From here, the summit is visible—still a ½ mile away with several hundred feet in elevation gain. Weaving in and out of spruce forests, the trail makes its way in the direction of the summit, passing the junction with the White Cross Trail (an alternative route up and down the mountain) at 1.6 miles. 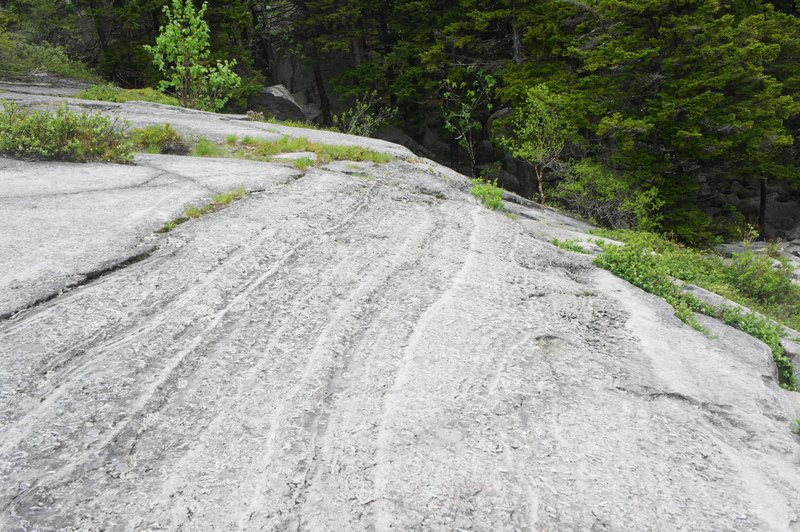 Shortly after, the White Dot Trail drops into a pleasant wooded ravine known as Paradise Valley, then resumes the climb, traversing a granite slope with interesting striations cutting across the rock. As the trail wraps around to the south side of the mountain, the wind is likely to pick up considerably. The final stretch to the summit is largely free of vegetation, leaving little to protect hikers from the wind and full sun. Following the cairns to the top, the trail ends at the summit, the culmination of 1.8 miles and nearly 1,800 feet in elevation. 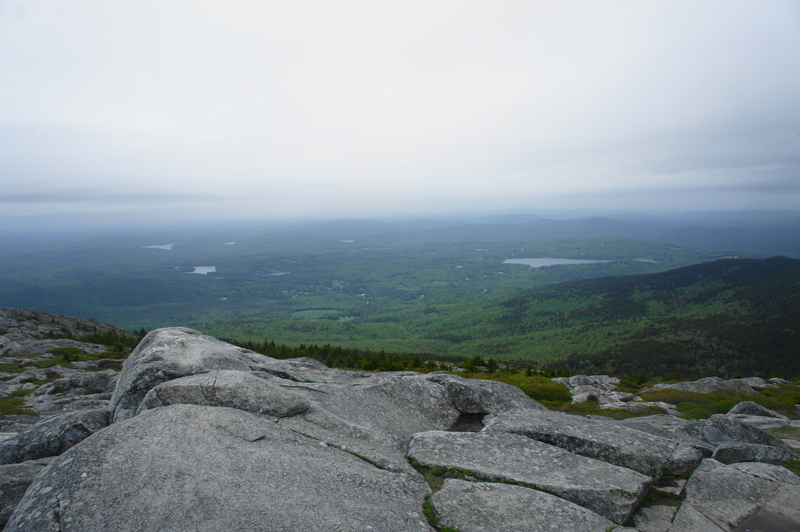 Panoramic views from Mount Monadnock include a look toward the White Mountains to the north and as far as the skyline of Boston to the southeast. The Green Mountains of Vermont dominate the horizon to the west. 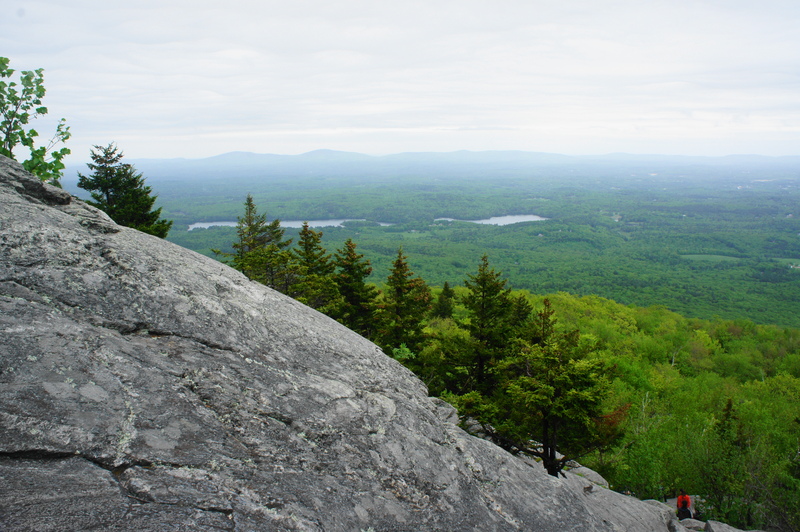 In the foreground, the mountain drops down a wooded ridgeline to the south known as Bald Rock, with views of Massachusetts beyond. 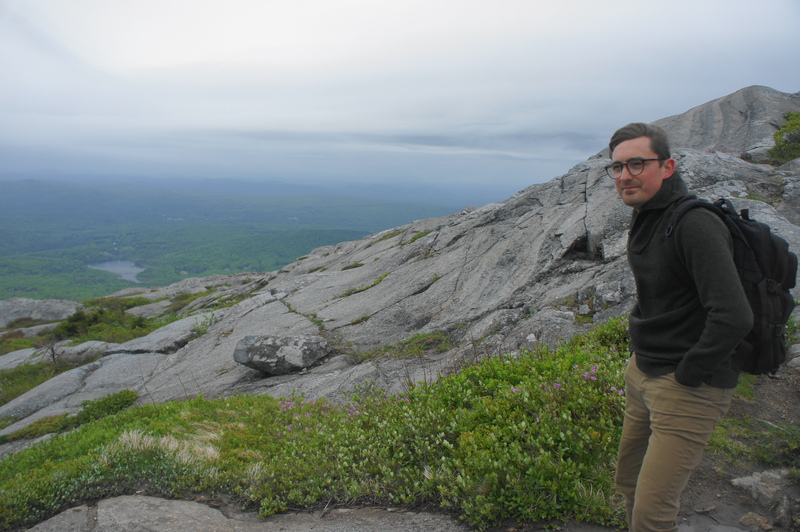 Mount Monadnock was once the stomping grounds of transcendentalist authors Ralph Waldo Emerson and Henry David Thoreau, and one can understand why: the serenity and beauty of the mountain inspires deep reflection. 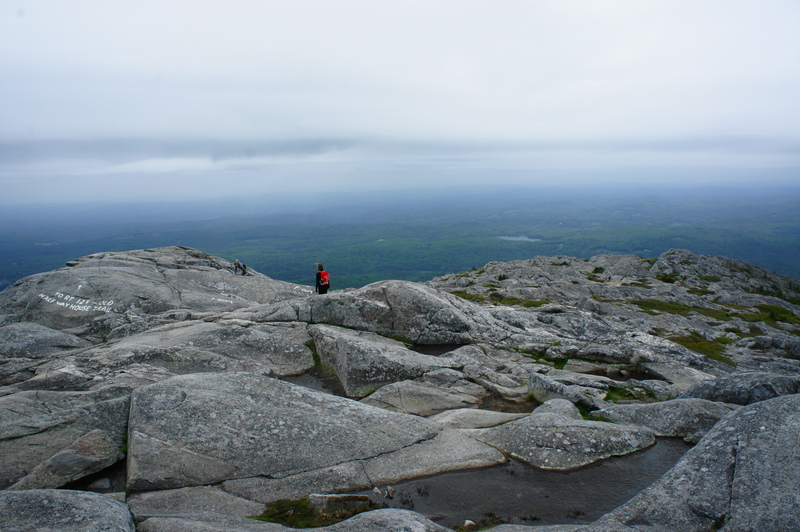 Much has changed since the 19th century, however: Mount Monadnock is now thought to be the third-most climbed mountain in the world, behind China’s Tai Shan and Japan’s Mount Fuji, and you will be very lucky to have the summit to yourself. From the summit, trails descend in all directions. After taking in the views, be sure to return the way you came, following the White Dot Trail back down to Paradise Valley and beyond. 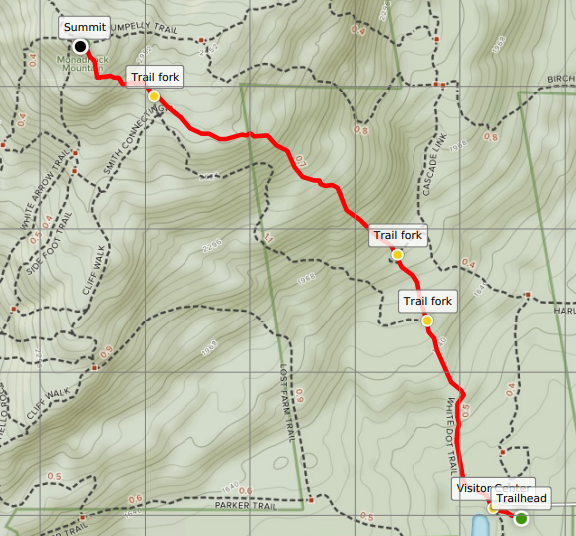 Hikers looking for a change can follow the White Cross Trail, which largely parallels the White Dot before merging again, but the White Dot Trail remains the quickest route back to the trailhead. Allot at least 3-5 hours for this short but strenuous hike. 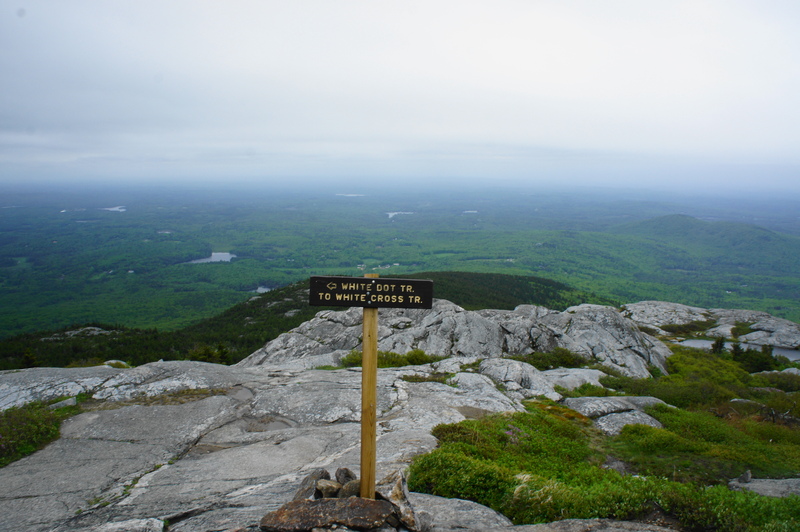 This entry was posted in New Hampshire, Strenuous Hikes and tagged Bald Rock, Monadnock State Park, Mount Monadnock, New Hampshire, White Dot Trail. Bookmark the permalink.